NF - If trade above 5232, take it to 5275-5295. Trade below 5202, come down to 5182-5162. 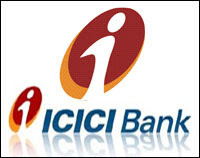 ICICIBANK - as per previous post, downside target 895. whereas it came down to 903, from there it moved up and yesterday it resisted at 945 and closed at 933. Now what next ? If trade above 946, take it to 970 & 985 after that 1010. DRREDDY - As expected, fall continued and yesterday reached the down target 1158 and closed at 1163. Now what next ? If not take support at 1140. still it shows weakness only. then fall further upto 1106 & 1065. MCDOWELL-N - As expected, bottoming out. As per previous post if attack 1278 and stays above 1286, then it take it to 1325 & 1366. VALECHAENG - It seems topped out. Trade below 201, come down to 194-191 and after that 184. resist at 210-213. ZENSARTECH - If trade above 360, take it to 373-375. Support 345.